Good glove and feel! Does the job great! Does it have the metal brace? No, this glove does not have a metal brace. It is made with leather on the palm and fingers for strength. Ladies this come in women's sizes? Hi Mic. Usually the women's sizes will be the extra small to medium size. Been having trouble with blistering on my palm, on my pointer finger knuckle. Would this help with that? 12/18/2016 - By Jake R.
Hello Jake. Yes, this will prevent from rubbing so much. The bowling tape will help with that as well. 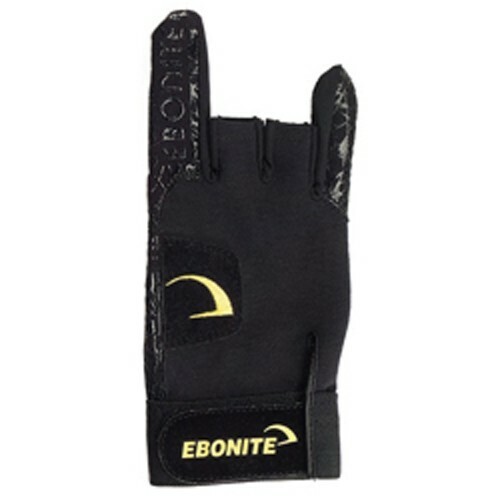 Due to the time it takes to produce the Ebonite React/R Glove Right Hand ball it will ship in immediately. We cannot ship this ball outside the United States.